The GTX 1050 Ti is far from the best graphics cards out there, especially when compared to the current mid-range AMD Radeon RX cards. 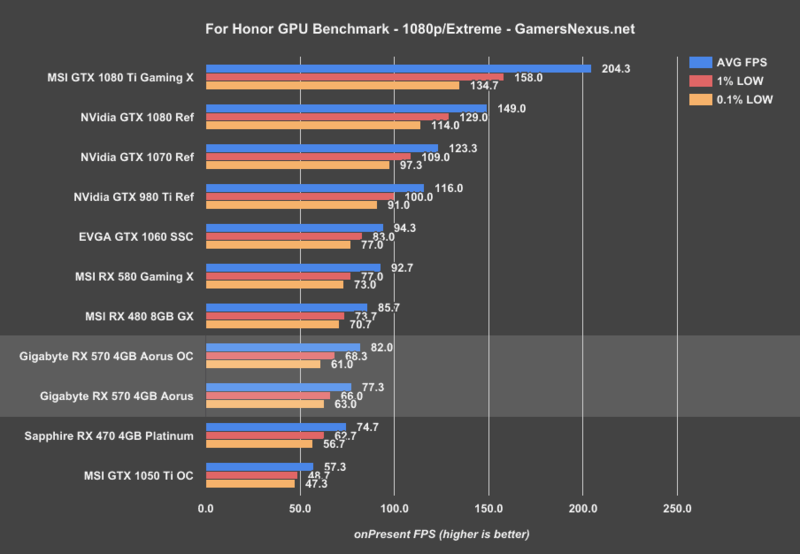 But don’t let that fool you, the 1050 Ti still has merits of its own! While it may offer somewhat lower performance compared to the Radeon RX 570, the GTX 1050 Ti allows those on a tighter budget to access Nvidia’s proprietary technologies, not to mention that they are much more power-efficient than AMD’s Polaris cards. That said, let us take a closer look at some of the best GTX 1050 Ti models currently available. 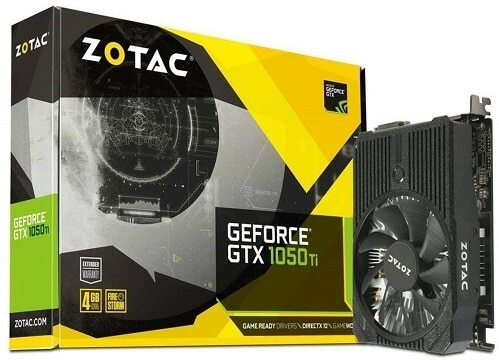 Zotac is hardly the oldest Nvidia partner, seeing as the company was only founded relatively recently in 2006, but over the years, this Hong Kong hardware manufacturer has consistently been producing great graphics cards, in addition to some accessories and pre-made PCs. As for the Zotac GTX 1050 Ti Mini, it is hardly a flagship product. However, it excels in two areas, where it is currently unmatched by any other model: size and affordability. 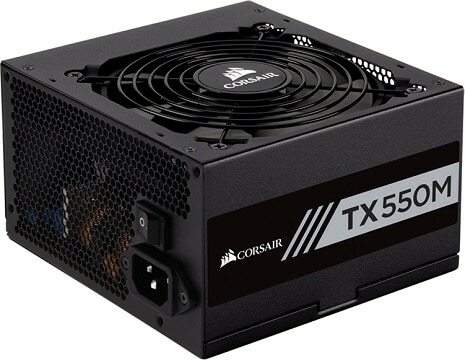 Due to its diminutive frame, this GTX 1050 model can easily fit even in the smallest Mini ITX cases, and it is the cheapest GTX 1050 Ti that you can get at the moment. Overall, the Zotac GTX 1050 Ti Mini is quite a capable card. As mentioned above, it will fit virtually any computer case and it is the best budget GTX 1050 Ti at the moment. On top of that, its clock speeds are quite good for a single-fan card, but that’s where the two major drawbacks rear its head. First, due to being cooled by only a single fan, the card is bound to get hot and loud when under stress, not to mention that it will not take any real overclocking. And second, you can immediately tell that the design is highly basic and not very appealing. Rather, the plastic used for the exterior looks and feels cheap, but in the case of a budget graphics card, it only makes sense to cut some corners in this department. All in all, if you’re looking to build a Mini ITX gaming PC or are simply on a tight budget, then you will hardly find a better fit for your needs. MSI has been among the leading hardware manufacturers for quite some time now, their inventory including everything from motherboards, graphics cards, monitors, and peripherals, to laptops and pre-built PCs. 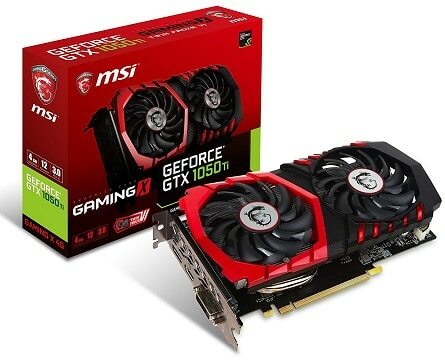 But much like the above Zotac model, this MSI GTX 1050 Ti is also more of a budget variant, although it differs in a number of key respects, most notably the improved design and the fact that it’s cooled by two fans, allowing for better performance and quieter operation. Being a full-sized card, the MSI GTX 1050 Ti is larger than the above Zotac model, but this also allows it to comfortably fit two fans, enabling better heat dissipation. This card has a higher boost clock and is noticeably quieter and cooler, thus making it the ideal budget option for those who don’t care for the compactness of the first Zotac card. The only issue we have with this model is the design, an area where MSI is a bit notorious. Unlike with their more expensive models, the problem with this one is not the gaudiness but simply the blandness. The modest black and white plastic doesn’t exactly give off an air of quality, but as previously stated, it only makes sense to cut some corners in regards to design when it comes to budget products. EVGA is a name that most Nvidia fans will recognize immediately, and for a good reason. This California-based hardware manufacturer had established themselves as one of the premium Nvidia graphics card brands soon after the company was founded in 1999. 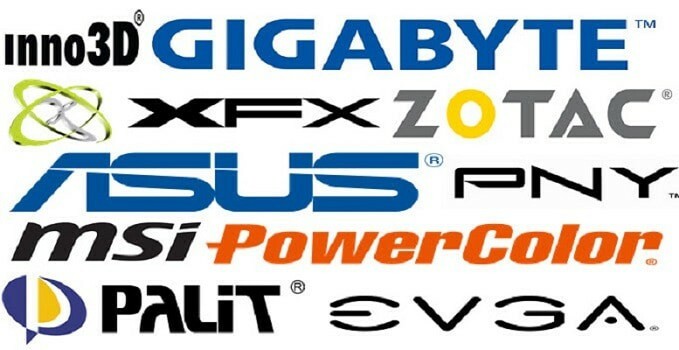 While they do also produce power supplies, cooling solutions, in addition to other types of computer peripherals and accessories, it is graphics cards that they are renowned for. 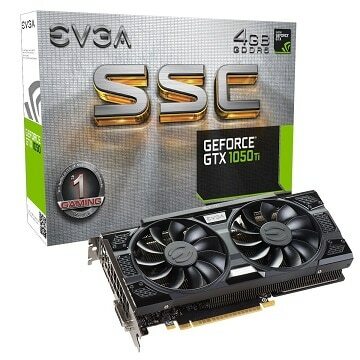 The EVGA GTX 1050 Ti SSC Gaming is a more serious solution coming after the first two budget cards, and it is well worth the minor increase in price. This EVGA GTX 1050 Ti model is a rather good-looking one, there’s no doubt about that. And even if we were to disregard the stylish, detail-heavy exterior, there’s still the performance to consider, and it is more than satisfactory. The card is capable of reaching rather high OC speeds, all the while remaining cool and quiet. While we have some qualms with the GTX 1050 Ti in itself, we couldn’t find any glaring flaws when it comes to this particular model. It offers great performance and remains relatively affordable, both in regard to other graphics cards and to other GTX 1050 Ti models. 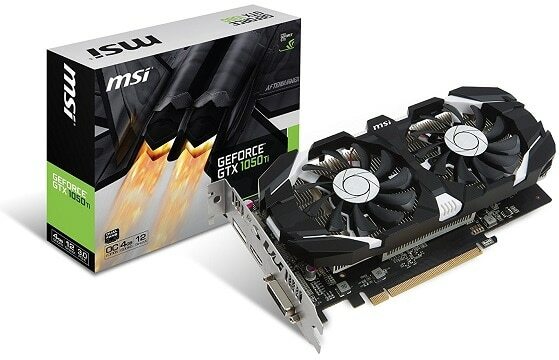 We have already introduced MSI with their more modestly-priced model, but now we have an MSI GTX 1050 Ti from their Gaming X series, a product line oriented specifically towards the more demanding gamers and enthusiasts. This is a gaming GPU and there’s no hiding it – plenty of red highlights, two massive fans, and the conspicuous signature dragon logo of the MSI Gaming X series. In terms of performance and overclocking, it one-ups the above EVGA card by a small margin, and at a minimal price increase. However, the main issue we have with this card is not the performance or the price, but the design. With all the gaudy highlights and in-your-face details, the card’s exterior design feels rather forced, not to mention that it might have a harder time fitting in some setups. Next up, we have Gigabyte, a Taiwanese giant wholly capable of standing up to the competition both in terms of quality and versatility. Their inventory includes virtually all types of components and pre-made systems, just like MSI. 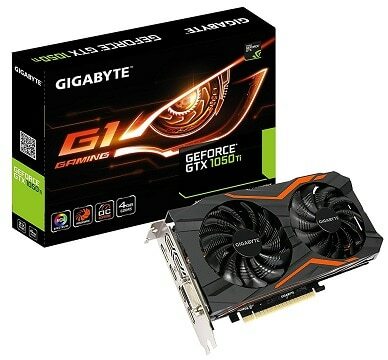 The Gigabyte GTX 1050 Ti G1 Gaming is another quality model that combines great performance with a great design, packing both overclocking potential and an appealing aesthetic into one very good graphics card. Dual Windforce fans, great overclocking potential, premium backplate design, and a total of three HDMI 2.0 ports, all are reasons why this Gigabyte GTX 1050 Ti model stands out from the competition. It is also a bit pricier than the competition, too, but if you consider aesthetics your top priority or you just like the idea of having three HDMI ports, it is well worth the price. So, all in all, the only issue we have with this model is that it is slightly on the pricey side compared to the other cards listed here. Other than that, it is a wholly capable graphics card in every respect. If there is a company listed here that needs no introduction, then it’s definitely Asus. It, too, is a Taiwanese hardware manufacturer that offers a wide array of products, although gamers would certainly be most familiar with their Republic of Gamers brand. 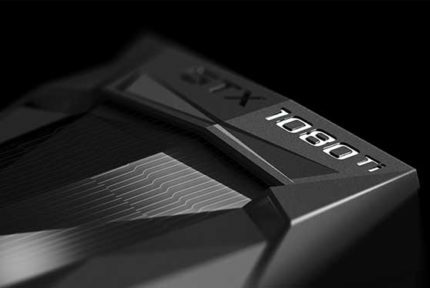 The graphics card we’ll be looking at here belongs to that very brand – the GTX 1050 Ti ROG Strix. Anyone who has ever had a run-in with a Strix product will know exactly what to expect: a highly efficient card that doesn’t skimp on anything in either the aesthetics or the performance department. The Asus RoG Strix 1050 Ti doesn’t disappoint in any regard: it brings great performance, excellent cooling, and is arguably the best-looking card here, if not the best-looking 1050 Ti model in general. Not only is the design sleek and capable of blending in easily with virtually any build, but it also brings RGB lighting to the table. Granted, the RGB only extend to the logo, but it is understandable that they didn’t focus too much on it in a budget graphics card. As for the downsides, there is always the most obvious factor: the price. 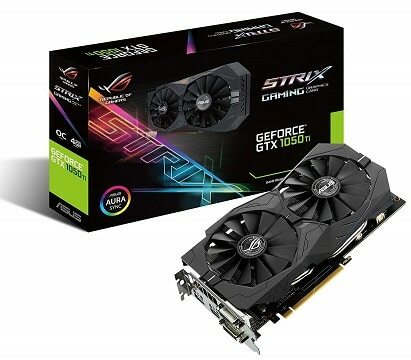 The RoG Strix 1050 Ti is among the most expensive GTX 1050 Ti models out there, and it doesn’t really offer performance significantly better than what is achievable with the more modestly-priced cards. 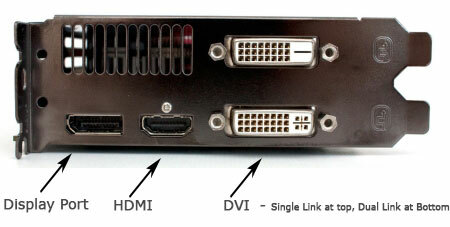 Plus, there’s the odd choice of ports – while DisplayPort and HDMI are more popular, you might appreciate the fact that Asus designed this card with two DVI ports, if you have a dual-monitor setup and DVI is your port of choice. As always, there is no single best product that will be the right choice for everyone. As such, we will now be taking a look at some things you should keep in mind when deciding which of the aforementioned models you should go with. What’s Different About Each Manufacturer? A misconception that some who are not familiar with the IT world tend to have is that one GTX 1050 Ti is significantly different from another based solely on which company manufactured it. That, however, is not the case. As a matter of fact, every GTX 1050 Ti has the very same GPU that was designed by Nvidia. They also all share the same 4GB of GDDR5 VRAM. While 2GB models do exist, we have decided against including any in this buying guide, as we find 4GB to be the bare minimum in 2019, let alone in the years to come. What differs from manufacturer to manufacturer is the type of cooling solution implemented. 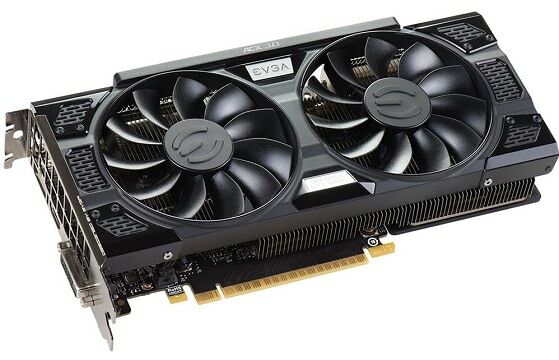 Based on the type of cooling solution, the card may be cheaper due to only having basic cooling or it can be more expensive due to more advanced cooling that allows for a greater degree of overclocking, and by extension, better performance. Graphics card cooling can be liquid-based or air-based, and air-based cooling can further be divided into two categories: blower and open-air. Blower cards feature a closed exterior and utilize a single blower fan that blows air out of the back of the card. This is the type of cooling generally seen in reference models. Open-air cooling utilizes anywhere from one to three fans and features an open exterior, thus allowing air to circulate freely. All of the GTX 1050 Ti models listed here use open-air cooling, since it is generally a better choice for most setups, allowing more efficient heat dissipation and lower noise generation compared to blower-based cards. Now, the choice to make here is simple: should you get a single-fan or a dual-fan card? Graphics cards that use only a single fan for cooling tend to consume slightly less power and are smaller in general, making them ideal for the more cramped computer cases. More importantly, they also tend to be cheaper. Their main shortcoming is that they tend to be louder since they only have one fan that has to do all the work, spinning at high speeds. As such, the overclocking potential of a single-fan card is lower as well. The most common cooling setup, dual-fan cards tend to offer the best of both worlds: better cooling and lower noise levels than single-fan cards and a smaller frame compared to triple-fan cards. When it comes to the GTX 1050 Ti, the dual-fan variants are the ones that can squeeze the most performance out of the card without getting too loud and without the card itself getting too hot. They also tend to be both bigger and pricier than single-fan models, obviously. If neither of the above apply, then a dual-fan graphics card might be a better choice. You will be able to squeeze some extra performance and the card will be running more quietly and at lower temperatures. Occasionally, you might also see VGA ports included in some cheaper cards and monitors, but it is a dated technology that is very rarely implemented today and is on the verge of being entirely obsolete. As for the remaining three types of ports, which should you use? Well, the GTX 1050 Ti does not force you to make any tough choices in this regard, as every model has at least one of each of these ports. There are no discernible differences in visual quality between DP, HDMI, and DVI, as they differ mainly in regards to the maximum resolution that they can support, as well as the maximum refresh rate that they can achieve in a certain resolution. For 1080p gaming – the resolution that the GTX 1050 Ti is best-suited for – any of these three ports will do just fine. As such, simply go with whichever port is the most convenient for you. The only thing that you need to worry about in regards to your motherboard is whether it has the necessary PCIe x16 slot to accommodate the graphics card. 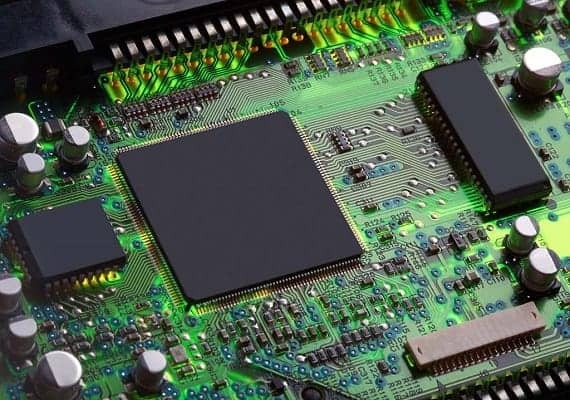 Furthermore, the current version of PCI implemented in all newer motherboards is PCI 3.0. However, the newer PCI versions are backwards-compatible, meaning there’s no need to worry if your motherboard only has PCI 2.0 slots. And since the GTX 1050 Ti is not a very powerful GPU, you will not see any significant performance drops with PCI 2.0. When a CPU is not as powerful as the GPU, it leads to something that’s known as bottlenecking. Essentially, it means that the CPU is unable to keep up the GPU, thus causing the latter to perform worse than it usually would. That is, the GPU wouldn’t perform at maximum capacity. Luckily, the GTX 1050 Ti is not an overly demanding card. As long as you have a decent CPU, you will have nothing to worry about. 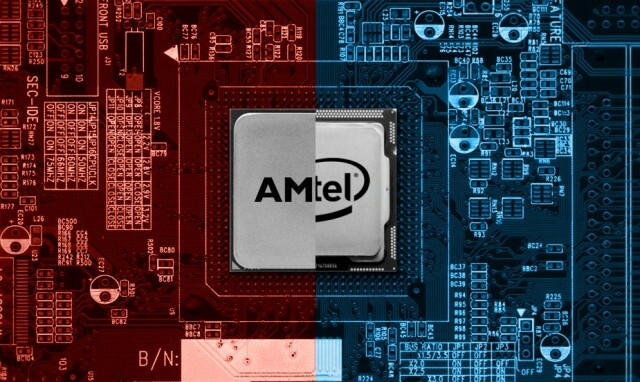 If we’re talking Intel, we’d suggest an i3, 4th generation or newer. As for AMD, even the old FX CPUs might do the trick, while even a Ryzen 3 would be quite sufficient. As for Intel Pentium and Celeron processors, as well as AMD APUs, they will all be able to work with the GTX 1050 Ti, albeit they will inevitably bottleneck it to varying degrees. As stated in their specification sheets, most GTX 1050 Ti models have a power draw of 75W, while the manufacturers recommend a power supply of at least 300W for the system to work properly. And seeing as even the cheapest power supplies offer upwards of 400 watts today, there is little to worry about in this department. Now, you should consider both the length and height of the card. Length-wise, a full-sized dual-fan graphics card will generally fit a Micro ATX case, even though it might be a bit cramped. You only really need to go for a small form factor card when it comes to Mini ITX cases. As for height, all of the cards listed here take up two vertical slots due to their cooling solutions. What this means is that the card will need some extra space underneath the PCIe slot that you intend to use. At the end of the day, best check the exact measurements of your case and the card that you have your eyes on, especially if we’re talking about a smaller case – better safe than sorry! So, all things considered, which of the six models listed above would we recommend? Well, if we’re talking overall best value, then we’d have to go with the EVGA GTX 1050 Ti SSC Gaming. In our book, it is pretty much the perfect card: great performance, great cooling, quality build, and a design that both looks good on its own and is capable of fitting in with most configurations. However, the GTX 1050 Ti is, ultimately, a budget graphics card. 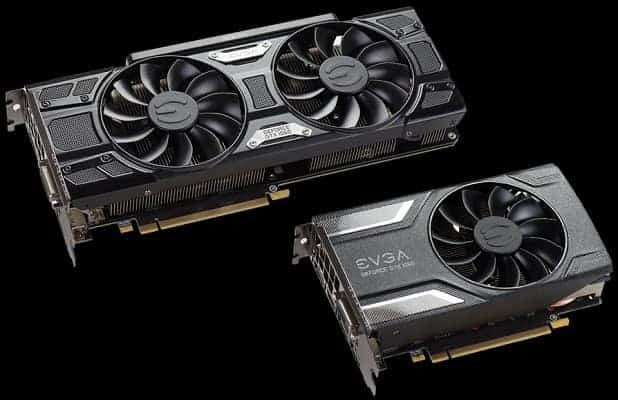 And while we feel that the aforementioned EVGA model offers the best overall value, some people might simply be looking for the cheapest option available. And in that regard, there is no better choice than the Zotac GTX 1050 Ti Mini. It is the most affordable model by far and offers a more than satisfactory experience for the price. If you’re looking for a beefier GPU, we suggest taking a look at our GTX 1060 buying guide, as well as the buying guides for the Radeon RX 570 and 580 (coming soon). There is a noticeable performance gap between the 1050 Ti and the 1060, but that’s a gap that the Radeon cards are more than happy to fill. The Radeon Polaris models do offer better value for your money in the low-end and the mid-range, so unless you really want access to Nvidia GameWorks, we’d suggest spending a bit more on an RX 570 or an RX 580. The previous-generation RX 470 and 480 are not bad options either, since they, too, outperform the 1050 Ti.